The Latest on Sales in Bucolic Presidio Heights! Presidio Heights is one of my favorite neighborhoods in San Francisco and I have lived in four of them. Each one has its own special characteristics. What I love about Presidio Heights is its amazing location! I can walk less than three blocks to the Presidio National Park. Less than two blocks down the street, I can stroll along Sacramento Street with its popular shops like Poetica, excellent restaurants like Sociale, and one of SF’s oldest movie houses, the Vogue Theatre. Crissy Field, one of SF’s most beautiful areas to walk along the Bay, is just a 15 minute walk down the hill. Nearby Laurel Village has Bryan’s, one of the finest purveyors of fish and meats in the city. Not only is Presidio Heights’ location unique for its proximity to so many things, but the trees that line its streets give it a less urban and more bucolic feel. I sit on the Board of the Presidio Heights Association of Neighbors (PHAN) and served as its President for two years. This volunteer group meets regularly and not only makes a point of protecting the interests of the neighborhood but participates in improving it. PHAN made a substantial donation to the renovation of the Clay Street Playground as well as the local library. Let’s see how this neighborhood is doing with sales of residential property since I will soon be bringing a charming garden condo on the market here. According to the Multiple Listing Service, 17 homes have sold in this neighborhood over the past year (ending March 19, 2018) at an average price of $7,289,735, up slightly from $7,206,079 in the prior year. The highest and lowest sales prices in the past year were $15,000,000 for a 7 bedroom home and $2,250,000 for a 2 bedroom home. The average time on the market for these homes has been 57 days this past year, shorter than the prior year’s 70 days. Still, volume is down slightly with 2 fewer homes having sold this past year than the prior one. In 2013, I blogged about home prices in Presidio Heights and the average price for a home between October 2012 and 2013 was $6,385,000. If you had bought a home then in this neighborhood, you would have made a nice profit. Over the past year (ending March 19, 2018), 13 condos have sold in this neighborhood at an average price of $2,349,923, with little change from an average of $2,450,297 in the prior year. The highest and lowest sales prices in the past year were $4,000,000 for a 3 bedroom condo and $1,450,000 for 2 bedroom condo. The average time on the market for these condos has been 25 days this past year, slightly less time than the prior year’s 28 days. Volume is down with 3 less condos having sold this past year than the prior one. 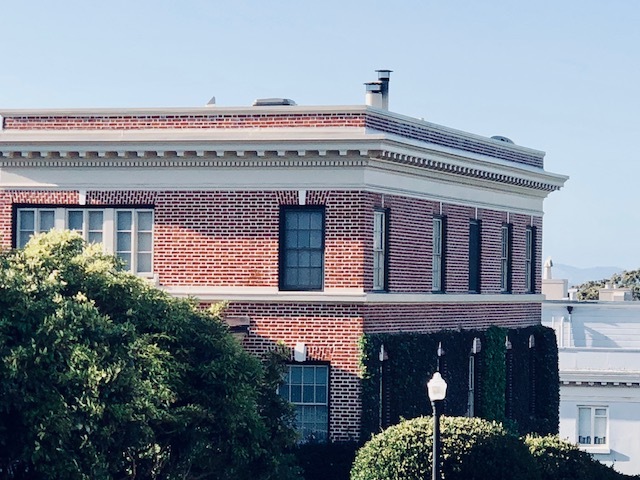 My 2013 survey of condo prices in Presidio Heights revealed that during a similar period in 2013 as above, the average price for a condo in this neighborhood was $1,613,667. Condos in this neighborhood have appreciated nicely over time as well. The above numbers do not include any off-market sales that may have occurred. In this hot market, a number of homes are selling without being entered into the Multiple Listing Service. Whether or not this is a good idea, was discussed by me in a previous blogpost. Presidio Heights is behaving similarly to the overall San Francisco market. Properties have been selling more quickly for more money in the past year than the prior one. Once again, buyer demand continues to be high and inventory is not keeping up with that demand. In neighborhoods like Presidio Heights that have fewer overall sales, it is important to hire an agent who knows the neighborhood and keeps on top of properties coming on the market or being sold off market. In addition, If you know of anyone who is considering selling, definitely give me a call since this looks like a great time to sell! Previous: Dear Potential Buyers…Here Is Something We’d Like You to Know About Our Neighborhood! Next: Presidio Heights Garden Studio – A Serene Oasis – Hits the Market!